Excellent service - prompt and efficient. Mark kept me informed about when he would arrive and coompleted the work quickly. As pleasant an experience as losing your car keys can be. It’s a sad truth that the locksmithing industry has a tarnished reputation thanks to a small number of rogue traders that exploit peoples vulnerability. When you book The Auto Locksmith you can be confident you are booking a car locksmith specialist with years of experience. We pride ourselves on our high level of customer service and our ability to offer helpful advice to all customers. Below we have listed a selection of our reviews from customers that have taken the time to email us with their praise. “I recently purchased a Ford Focus that only came with the one remote key. I will be sharing the car car with both my wife and my 2 children so thought it would be wise to get a couple of extra keys. My next door neighbour had previously used The Auto Locksmith to open her car last winter when she accidentally locked the keys in her boot. I wasn’t too sure if they would be able to program a key for my car or if they just offered an opening service. I spoke on the phone with Mark who explained they basically offered the same service as the Ford garage but as a mobile solution that would come to me. Not only did these guys save me time on taking the car into Ford but I also saved just under £80 on what they were asking for two remote keys. Thanks, very happy to recommend.” – Adam Ford, Chingford. “After spending 3 days searching for my Renault Clio key I eventually turned to the internet to learn what my options where for getting hold of a new key. I read on a Renault enthusiast forum that the main dealer garage could take up to a week to get a new key and that the best option would be a mobile key company. I got a couple of quotes from car locksmiths and went with the best price which was from The Auto Locksmith. They booked in a time slot that was convenient for me and arrived exactly when they said they would. I cant believe the whole job only took 10 minutes to complete. 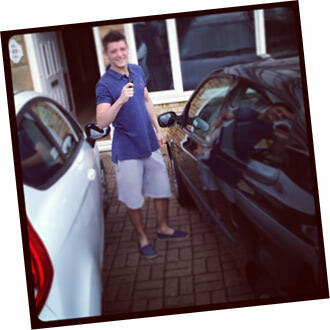 Very impressive guys…thanks for the new car key!” – Jimmy McDonald, Redbridge. 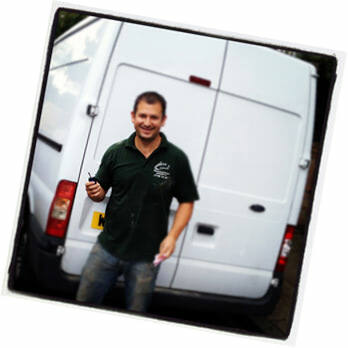 “I run a landscaping company in North London and have used The Auto Locksmiths for the last 4 years. 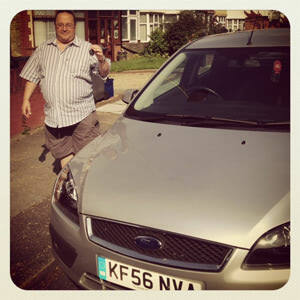 Mark has supplied over 20 keys for my fleet of Transit vans and never fails to keep his appointment times. My vans are always out on the road and its essential to me that replacement keys are cut whilst the driver is on a job and he is not held up. Im very happy with the professionalism and friendly service offered and would 100% recommend The Auto Locksmith to any other companies that need spare keys for their fleet of vans” – Tony Alesi, Woodgreen. “My wife and I only ever had one key each for our cars. Last weekend we wasted a whole day turning the house upside down to find Ford Fiesta key. We did eventually find the key but the scare made me realise how important it is to have a spare key for the cars. I did a Google search for spare car keys and found The Auto Locksmiths details. I sent them an email late Sunday afternoon and got an email straight back with a price for providing two spare keys. They offered me a discounted price for doing both keys at the same time, which was very reasonable. I now have two keys for each car and would be very happy to refer the services offered by The Auto Locksmith to anyone needing an extra key for their car. Overall the service was hassle free and very affordable compared to the cost and time loss if I ever lost the only key” – Simon Skolimowski, Guildford. 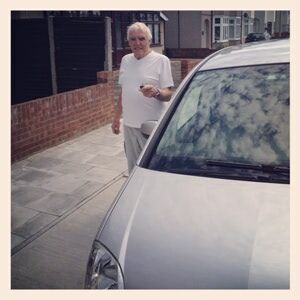 “I bought a second hand Vauxhall Agila for my wife and was only supplied with one key. My neighbour had a similar problem last year and used The Auto Locksmith to have an additional key made. Fortunately they had kept their number and were happy with the service. I booked them in to come and supply a new key key for me on a Saturday morning. 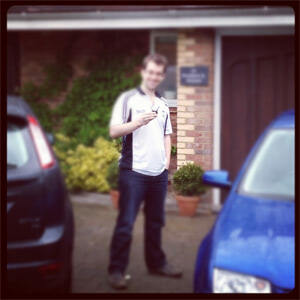 I will be keeping their number handy for anyone else needing spare car keys – Very friendly service, thank you”. Carl Bedford – Romford. 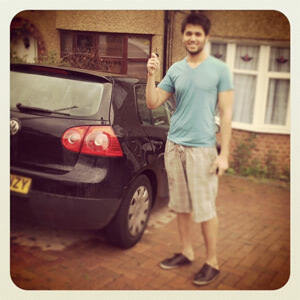 “I recently lost the keys to my VW Golf, I thought my only option was to go to the main dealer. Luckily a local garage passed the auto locksmiths details onto me, these guys saved me a lot of time and money. They arrived at the agreed time, fully explained what the process was and carried out the work without causing any damage to my car. I found the autolocksmith to be friendly, reliable & very professional – they helped me out of a very tricky situation, I now have their number saved in my phone” – Prashant Patel, Luton.